RY4 is the most popular blend in our diverse e-liquid line. 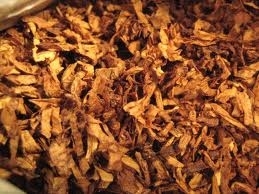 It’s a smooth, easy vapor that closely resembles that of Parliament Light cigarettes. It has a very mild flavor, yet strength isn’t sacrificed. Its soft, pleasant vapor is one that you can kick back and enjoy. Ice menthol is our most popular menthol flavor. And for good reason—its nice, cool throat hit is one that even non-menthol vapor users enjoy. It can be blended with RY4—or any of our other great flavors—to deliver a pleasant artic vaping experience. Raspberries have a taste that’s similar to, but sweeter than green and red grapes. Blueberries taste a tad bit sweeter and less tangy than raspberries. When combined as e-liquids, the two flavors pack an ultra-pleasant taste that makes for a delightful vaping experience. The great taste at varying nicotine levels makes our Raspberry Blueberry eLiquid a customized and unique vapor—truly something special. If you love peaches and mangos, then you’re bound to love our Peach Mango eLiquid. It’s smooth and sweet—giving you an energized feeling similar to that of a warm summer day. The wonderful taste can be enjoyed all day long. It’s popular amongst many of our customers who want a unique and customized vaping experience. Our Tropical Fruit eLiquid is a taste packed mixture of sweet flavors—similar to that of Juicy Fruit gum. It’s an outstanding and an unmatched vaping experience that’s only made possible through Vintage Joye. It’s neither tangy nor rasp, which produces a perfect blend of delightful fruit flavors. Enjoy it on the beach, in the comfort of your own home, or in any relaxing environment—that’s why we created it. Our e-liquids are extracted from black leaf tobacco via a unique levorotatory process—a 99% pure product is the result. It’s FDA registered and carries a USP high quality kosher grade. No alcohol, water, sugar, or extracts are used in our e-liquids. As a result, your vaping experience is enhanced—without clogging your coils. In addition, no diacetyl, acetyl propionyl, or acetoin is found in any of our products. Make note that the glycerin used to make our e-liquids is from soy beans—thus making it perfectly suitable for persons with peanut allergies. In addition, the glycerin is propylene glycol—which is the highest possible grade. All of our e-liquids are created you give you the best vaping experience possible. Our high quality ingredients and pure extracting techniques are simply the best. Choose us for any and all of your vaping needs.